Finding quality hair extensions prolongs their life. Remy Hair offers extensions that are made from natural human hair, giving you a more natural look. With a natural hair extension, each hair cuticle faces in the appropriate direction. This allows the hair to detangle easily and reduces matting. It also ensures the hair weave will last longer. Manufacturers create both human hair and synthetic hair extensions; however, you will pay more for human hair extensions. Human hair is harvested from volunteers, generally younger women from around the world. One hundred percent human hair tends to provide higher quality strands. If you don’t want to spend the money on a natural hair extension, a blend of both human and synthetic hair is an alternative option. A blend extension puts the hair through a chemical stripping process that pays no regard to the direction in which the hair is facing or the alignment of the root tip. This type of blending technique causes the hair to tangle easily, which requires the use of a specialized product such as BlueMax from RemySoft. Remember, blended hair extensions cannot be colored or styled using a heated curling iron. Because the hair weave industry is unregulated, many manufacturers will mark a product as made from 100 percent Remy hair when it isn’t. You have to be cautious when making your purchase. When you use BlueMax from Remysoft, you will be able to tell quickly if the hair is 100 percent quality human hair. 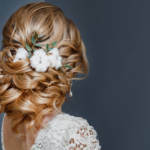 Hair that has been partly hand-processed to maintain alignment of the root tip will be a little more expensive but can be styled with a curling iron and colored. It will also maintain good condition for longer than synthetic hair that undergoes the stripping process. To know whether an extension is of good quality, you should determine whether it is full length by looking at the hair wefts, which are usually made of varying lengths. For example, an 18 inch lace cap/wig, may have 20 percent hair strands measuring 18 inches, while 40 percent will only be 14 to 16 inches, and the other 40 percent may measure only six to 12 inches. Several premium grades like the Bohyme Remi hair are full length, which means every strand is the same length. Virgin hair extensions are not chemically processed. These are usually sold in hanks as bulk hair. 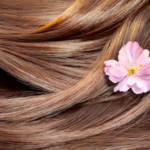 The quality of hair is dependent on the health and quality of the hair donor. However, most manufacturers will make sure this type of hair is in good condition before selling it. Texture and style are also important aspects of quality. These different textures include silky, wavy and straight. Yaki, which is silky and straight, is similar to relaxed African American hair. European is typically curly or wavy and needs no additional styling. If you want to learn how to improve the beautiful quality of your hair extensions, RemySoft offers the ideal solution. Visit the RemySoft website to learn more about our products and how they can help.